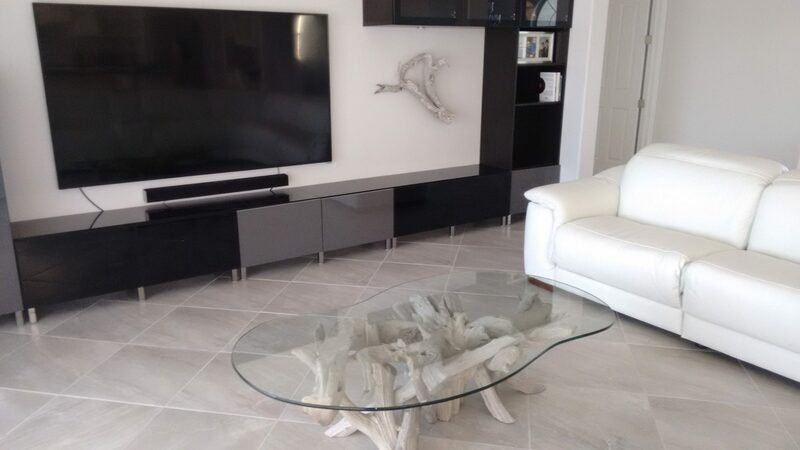 This past year I was contacted by a gentleman who lived in the UK but was planning to spend the winters in Sarasota and was looking to furnish his new condo with some of my work. A few months later Tony was in Florida & drove up to my shop to check out my inventory. 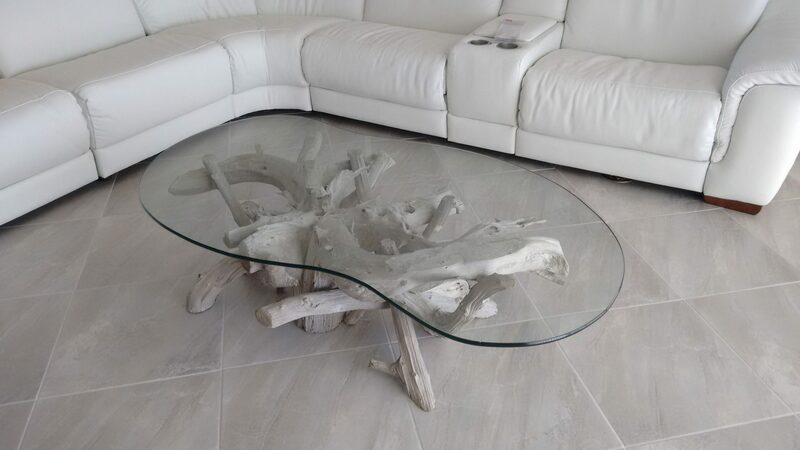 He selected a base for a 48″ round driftwood dining table that was still in the weathering process, but he decided to let the sun continue it’s magic & he would pick it up next time he was back in the States. 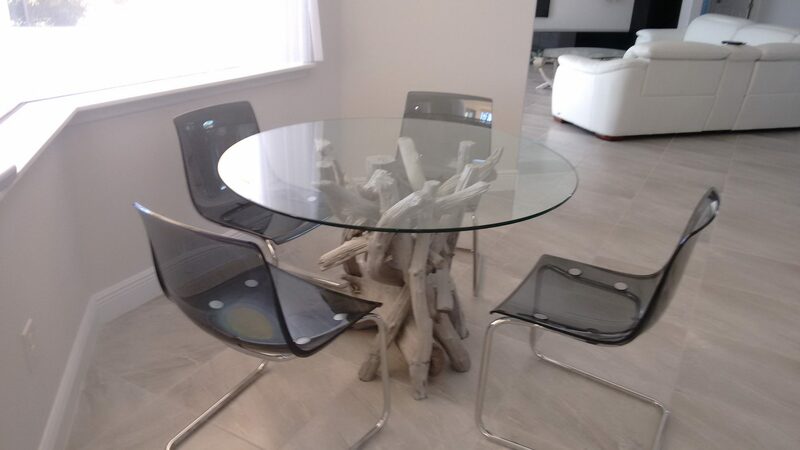 Finally this past Thanksgiving he made his way back to Orlando & not only did he pick up the finished dining table, but a nice peanut shaped glass coffee table & a piece of driftwood to go on the wall. Fortunately he had taken the 48″ dining table glass on his initial visit, but we managed to fit the tables & coffee table glass in the back of his SUV.